Morris dancers are so bright and cheerful, with their bells and brightly coloured ribbons. 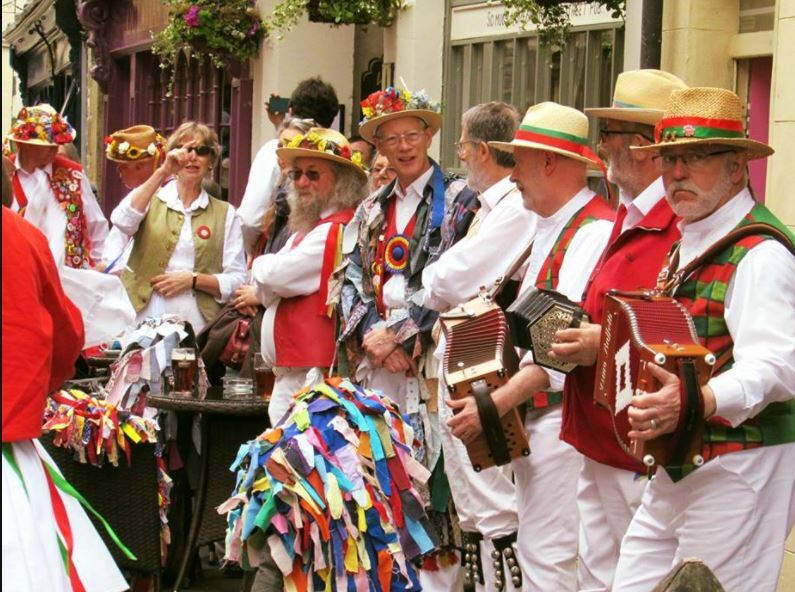 Morris dancers make me think of summer time and garden fates and our English heritage. Sadly, you don’t get to see Morris dancers much these days, so I thought it would be lovely to have a Morris dancer tea cosy. Being an old English tradition, I wanted my tea cosy to be an older gentleman with grey hair and a moustache. 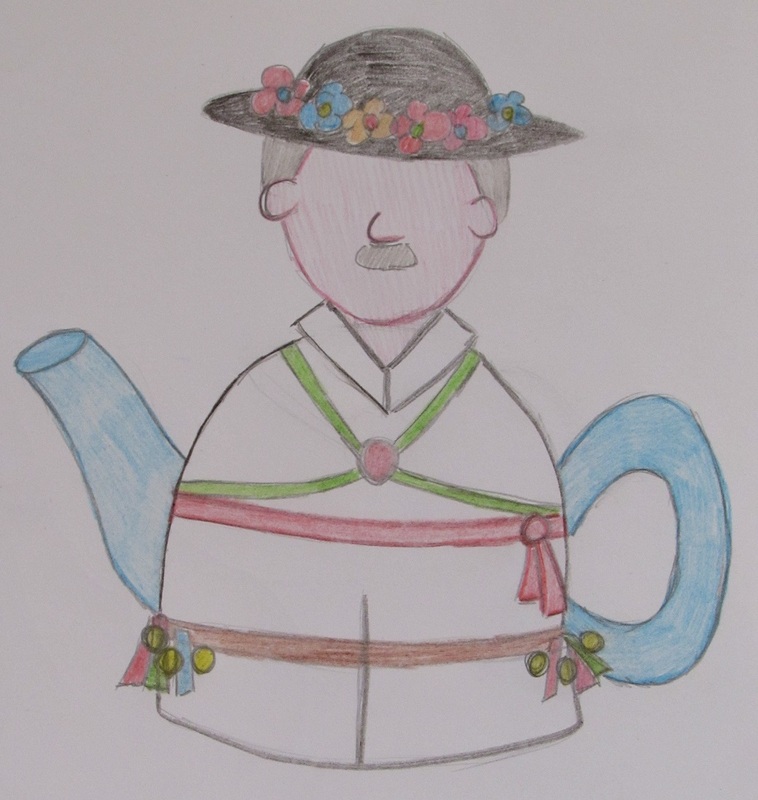 I want to give him real bells, I just think a jingly teapot would be rather jolly. I do think that the Morris man will be a great yarn stash buster, because it will want lots of small amounts of bright colour yarns. Maybe having a tea cosy in Morris costume will help to hurry the summer along? I hope so!